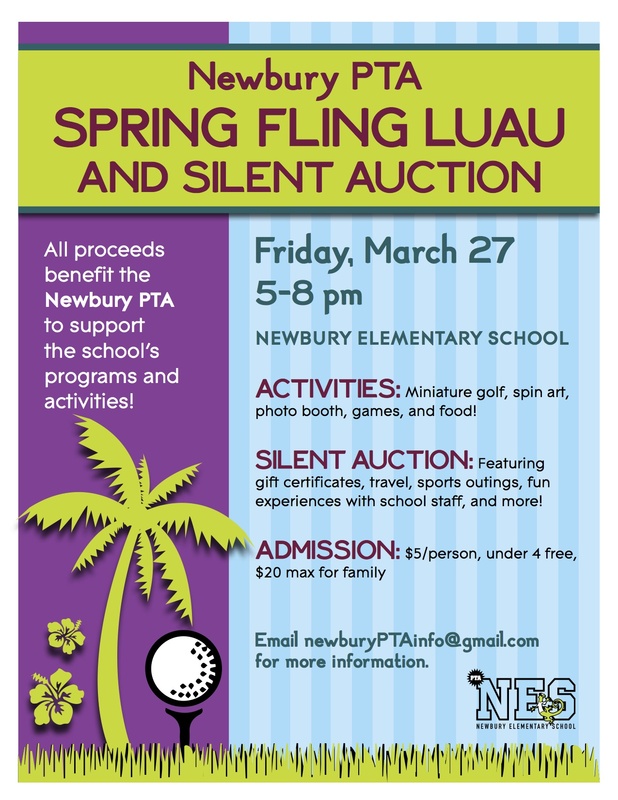 PTA SPRING FLING LUAU and SILENT AUCTION — TOMORROW! Fun for all ages: Indoor miniature golf, crafts, games, photo booth, limbo contest, chill room, food for purchase, and more! Wear your Hawaiian shirt! Tickets will be available at the door. Advanced signup for bidders is recommended but not required. Bid ahead or at the auction: Adults over age 18 can bid in person at the event, or can bid online until March 26 at midnight. 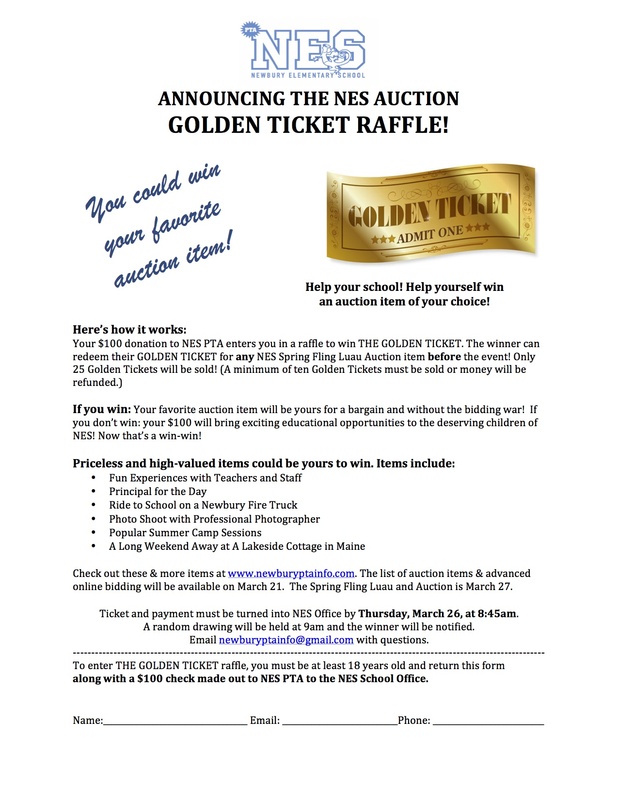 Auction winners will be determined at the silent auction on March 27. Extra recess for a class! And many more! Check them out and bid online or at the auction itself!